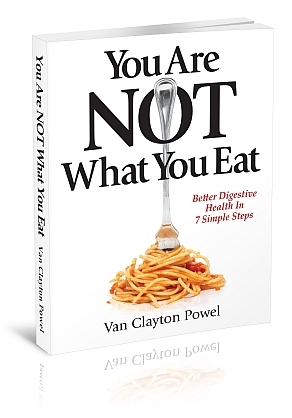 Blog for the highly acclaimed new book You Are NOT What You Eat. Wow, what a week! And it’s about to get better. Plus a small, exclusive trade fair of like-minded souls. As they say – “…a unique and powerful all day event bringing you the world’s leading minds in total wellbeing.” Hope to see you there. A lot more info at their website here. Arrangements for the interview as well as a flood of other events has kept me from posting Part 2 of Signs And Symptoms. My apologies! It’s coming very soon. Did an early-morning interview today with Selina McKenzie on Talk Radio Europe. 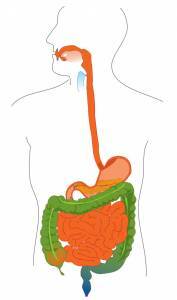 experiencing could very well be the result of a compromised digestive system. are at an all time high. By some estimates, up to 50% of us now suffer from digestive illness. Those who have been battling digestive problems for a while are very familiar with the frustrating range of symptoms. But others might not even realize that what they are experiencing could very well be the result of a compromised digestive system. Now, picture that fire burning hot and clean and someone adding fuel to it – let’s say the fuel is a bunch of branches. What’s the result? Now picture those same branches being added to a weak, cool fire. What happens this time? sense what’s causing them. And I’ll ‘see’ you soon! Thank you Melissa and Janet for the great organizing. And next time I promise to follow Roxanne’s directions and drive to the correct library. We might be back on Vancouver Island as soon as November and all venues want us to return (we had standing-room only in Campbell River, Courtenay, and Parksville), so keep checking the website. I’ll be starting to book Fall presentations in the lower Mainland and Vancouver Island asap (yeah, behind on that too) and will post them as soon as booked. There are also interviews coming up on Talk Radio Europe, TV and some major blogs so I’ll announce those as well. I’ve been assured that You Are NOT What You Eat is once again available on Amazon.ca after a glitch in the chain of command, so please let me know if you have any problems ordering from them. Our distributor Sandhill can also get copies to your local bookstore, healthfood store, spa, (bowling alley? ;-)) wherever you are, so don’t hesitate to ask for it if you don’t see it on the shelf. Oh, and some of you might have noticed the book has a new subtitle – “Better Digestive Health In 7 Simple Steps”. (Thanks to all who voted in our poll of options!) If you have an original copy – it now has added value – it’s a collector’s item ;-)) There are still a few online sources that might show the old subtitle, but that is all being resolved as the changes work their way through the system. Drop us a note if you have any questions or requests or would like us to include your town on one of our future tours. Look forward to seeing you soon! “You Are NOT What You Eat” on the road! Heading to Vancouver Island next week for one of those multi-purpose visits (family, friends, a little R&R) and will be doing some presentations as well. So if you’re going to be in Campbell River, the Comox Valley, Nanaimo or Parksville, please come say Hi! The presentation in Squamish the other night was wonderful, and as always, the folks attending contributed with some great questions. Thank you all – we’re looking at a return visit in the Fall. Kirsten Ridout of Mountain FM also called me for an interview before the event, so if you want to hear that, click here. We have been working feverishly on file preparation for an offset printing, the E-book files for Nook, Sony and Apple, and some promo photos to make me look like George Clooney (Mickey Rooney, perhaps? ;-)) and they are just about ready to launch. So if you’ve been waiting for any of those, my apologies – any day now. You Are NOT What You Eat is now available on Amazon in Canada and Europe (it might say that delivery will take a couple weeks but that is rarely the case). And you can get it on Amazon.com or CreateSpace in the US. We’ve signed with distributor for Canada (Sandhill) and they should have copies in early September from our printer. US distribution is coming soon. So if you ask your local bookstore they should be able to order it for you. And … once all this technical stuff is taken care of, I will have a LOT more time to post and come visit your community. Thanks to all of you who have said such wonderful things about the book. I love hearing from you and will help as much as possible, so please email me from the Contact Us page. About to get back to some work that had a deadline of yesterday, so hope to return soon. And again, if you have a question, send it on over! Hello! And welcome to the first blog post for You Are NOT What You Eat! Early reviews and feedback have been excellent, which is a wonderful reward after so long working in isolation. So please don’t hesitate to let me know your thoughts and ask any questions you might have. If you’ve read the book, you know how passionate I am about the subject of digestion and its vital role in every aspect of our health. And you also know that much of my passion was born out of my own chronic digestive problems – problems that are now a distant memory! The road to digestive health for me was a long arduous journey that literally took me around the world. The solutions I found fit perfectly with the latest medical science. And as a former nurse trained in the Western medical model, that was important to me. But the solutions have nothing to do with what to eat, and everything to do with how we eat. And it turns out this approach to digestive problems has been used in the ancient medical systems of Asia for thousands of years. My education in the Western medical model taught me the value of double-blind, peer-reviewed, randomized studies. But my training in Japan and India taught me the value of thousands of years of clinical experience. Somewhere between the two is where I found the road to the vibrant health and energy I enjoy today. And those of you who know the frustration of digestive problems like I do, know what a remarkable feeling it is to be healthy again! As we begin this journey together, I hope you’ll share your experiences so that others might benefit. And again, please let me know if you have any questions.